Elastic Storage Server: Networking is what it’s all about! Why, you might ask, would networking be so essential? In my previous post about ESS, I focused on the three keys to a successful implementation: pre-planning, network analysis and professional services. I briefly mentioned the significance of network analysis there, but I want to expand on that because networking is probably the most important item to configure for a successful ESS implementation. Let’s take a look at what the network looks like for both a RedHat Enterprise Linux little endian and big endian implementation. 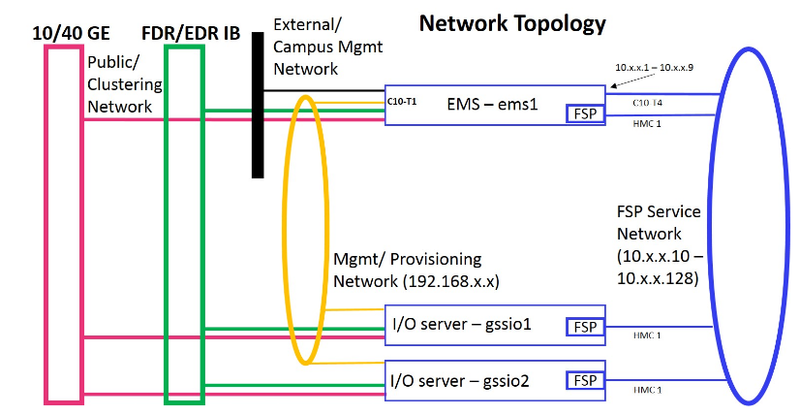 Within the ESS system, there are three main networks (two non-routable) that Elastic Storage Server requires to operate effectively, and a fourth external connection if connecting into the customer campus network. Of the three networks, the Service Network and the Management/provisioning network are internal to the ESS rack and do not exist on the customer local area network (LAN). Service network: Each IBM Power Systems server (management and input/output, or I/O, server nodes) has a flexible service processor (FSP), and this network connects them together. If RedHat big endian is installed, the systems are managed by the Hardware Management Console (HMC). If RedHat little endian is used, then this management is accomplished with a second connection on the management server. Management and provisioning network: This network connects the management server and the I/O server nodes for code provisioning and xCAT management of the cluster. The management server is a Dynamic Host Configuration Protocol (DHCP) server for this network. All the ESS code provisioning happens on this network. Clustering network: This is a high-speed network, either 10GbE/40GbE or Infiniband. The cluster is created and managed over this network. This network exists within the customer LAN, and is also used to connect Spectrum Scale clients to the ESS storage cluster. 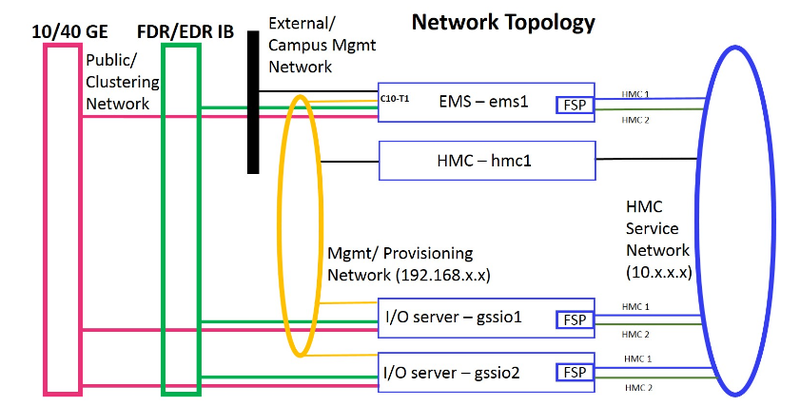 External and campus: The fourth network connects the Executive Management Server (EMS) and HMC (when required) to the client’s public network for management purposes if desired by the organization. Please refer to the “Appendix B: Networking Requirements for ESS” on page 41 of the Elastic Storage Server Version 5.1 Quick Deployment Guide, found in the IBM Knowledge Center. The following is a pictorial representation of these networks from the Quick Deployment Guide. The HMC and the Mgmt/Provisioning network are internal to the ESS rack architecture. The 10/40GbE and Infiniband networks are customer networks for the ESS. One item to note from these diagrams is that each of these networks are implemented as non-overlapping networks, usually configured as individual virtual local area networks. So, without getting too technical, what does all of this mean? Network planning is of the utmost importance in the implementation of an ESS system, which is the main reason that IBM Systems Lab Services spends time helping each client complete a network planning sheet and schedules a meeting to review it with the client. In this pre-implementation network review, we talk about the uses of the system, the clustering network speed the client will use (10G/40G or Infiniband), the host names, IP addresses, domain name services and so on. All of this information is correlated in the spreadsheet, reviewed on a call and then used by the subject matter expert to correctly implement the system for use in the client environment. Networking is an integral part of the ESS, and, if not planned or set up correctly, it can hinder you from realizing the performance gains that an ESS system can bring into the operation of your mission-critical applications. That is why networking is what it’s all about! Are you looking for help on a storage and software defined infrastructure project? 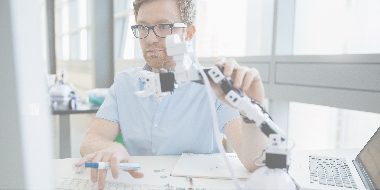 Reach out to IBM Systems Lab Services today.